The Explorer’s Pack is perfect for active days. From morning to being out and about to bedtime this pack gives nutritional boost for your dog. We got this pack for £20.00 and found it a great deal. This tasty baked Breakfast Crunch is the perfect way to start off your dogs day. They are delicious toasted nuggets with freshly prepared turkey and chicken liver. It also has yoghurt, berries, banana, sunflower seeds and oats. Botanical herbs include rosehips and marigold petals to help your dogs holistic health and a splash of salmon oil to put that extra shine into your dogs coat. This recipe is gentle on your dogs stomach and baked until golden and crunchy and is good for your dogs teeth. We love this product as it has no rendered meats, carcass or derivatives. It contains no colours or sweeteners, wheat, corn or soya. This food is all natural and very healthy. Although this is seen as a food we use this as a healthy snack during the day. Pixie and Roxy love a little handful of these every now and again. The Eat Your Greens Snack Bar is perfect for your pockets and is a good idea to take with you on a day out. These tasty treats are hand baked and packed with super foods. This recipe contains oxygen-boosting and a cleansing wave of green goodness. This tasty bar contains apples, kale, spirulina, wheatgrass and mint. 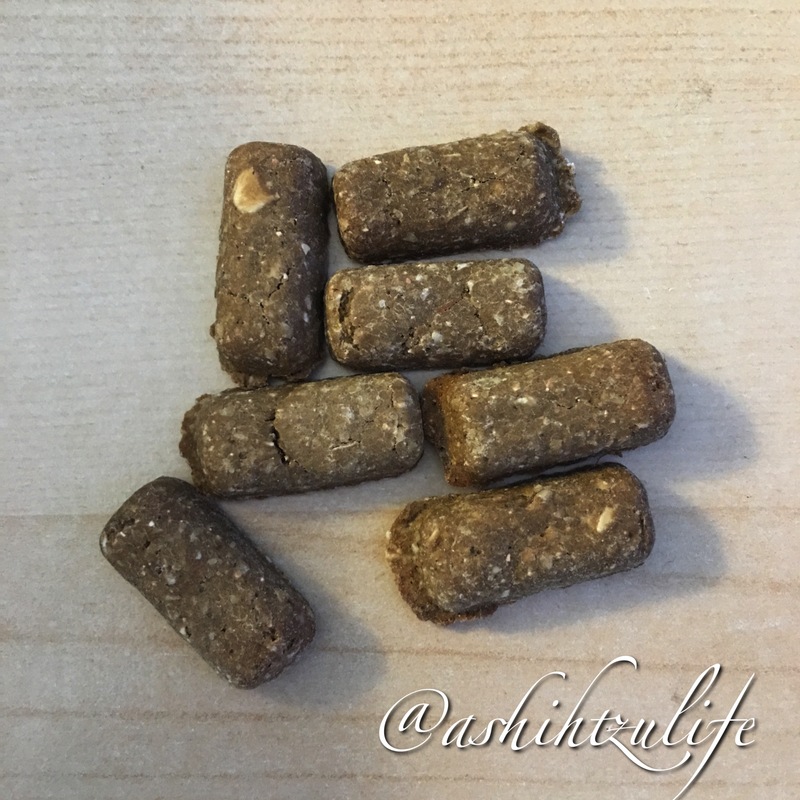 Packed with protein that is contained in the chicken liver, this yummy treat comes with two bars and is easy to break into bits when you are out and about with your dog. It is wheat and glycerol free. The Sun Shiny Day Snack Bar is the exact same as the Eat Your Greens. The only thing that is different is the ingredients. This snack bar has a delicious recipe that features a fabulously feel-good blend or brightness and includes banana, papaya, sunflower seeds and dandelion roots. It also contains chicken liver for added protein. Each snack bar is nutritionally complete so it can be fed as a meal replacement if you are away at dinnertime. 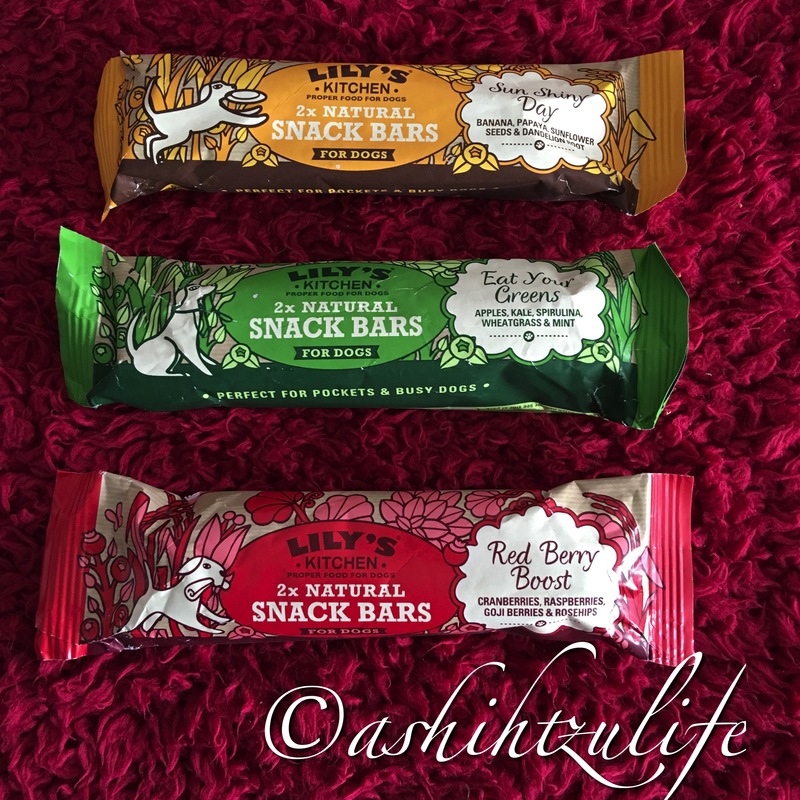 The Red Berry Boost Snack Bar has to be Pixie and Roxy’s favourite compared to the the other two bars. They seem to be more excited for this bar and don’t pay much attention to Eat Your Greens and Sun Shiny Day. Must be the ingredients that are in this snack bar that make them find this one so tasty (they do like their berries). This snack bar contains cranberries, raspberries, goji berries and rosehips. Also containing chicken liver for added protein this recipe is a perfect blend of antioxidant-powered blast of red fruits. We really love these bars and it is a great idea if you are planning a day out somewhere you can just take a bar and snap and share. 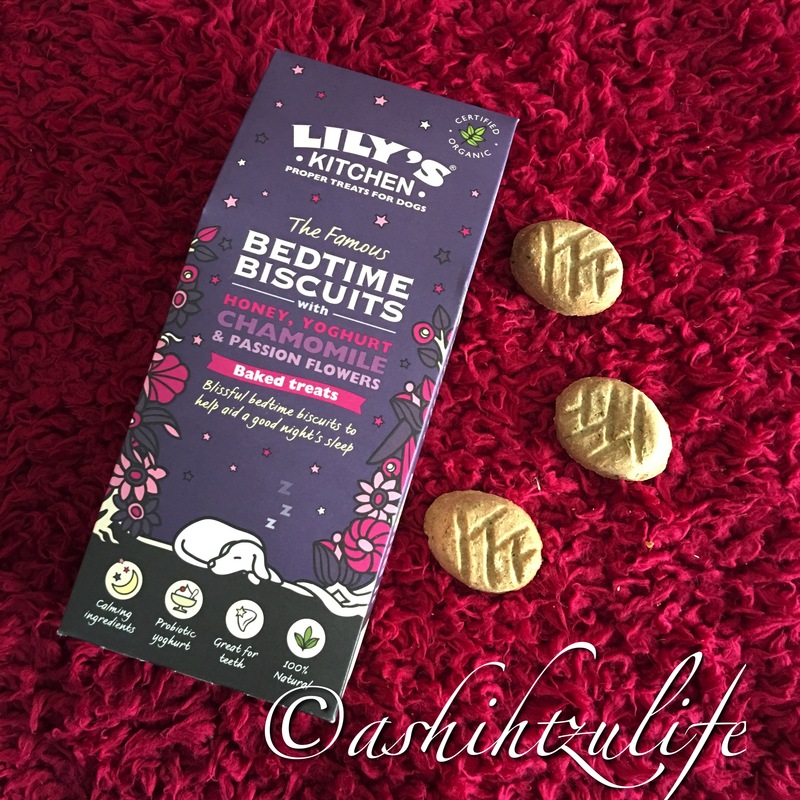 The Organic Bedtime Biscuits is a great little treat for bedtime as your dog jumps into bed and snuggles in for the night give your dog one of these to help calm and make your dog have a good nights sleep. These baked treats include probiotic yoghurt, honey, passion flowers and chamomile flowers and the best thing is every ingredient is organic. They are also hypoallergenic and wheat free. These treats are a perfect idea for bed time. Pixie and Roxy always get a bedtime biscuit before they go to bed, but not these. I find these treats are very hard for my two and they sometimes struggle to crunch them. It is a larger biscuit that their usual treats but it doesn’t stop them from eating them. I feel these should be a little smaller and softer. I don’t buy these often and prefer to stick to smaller biscuits for smaller mouths. 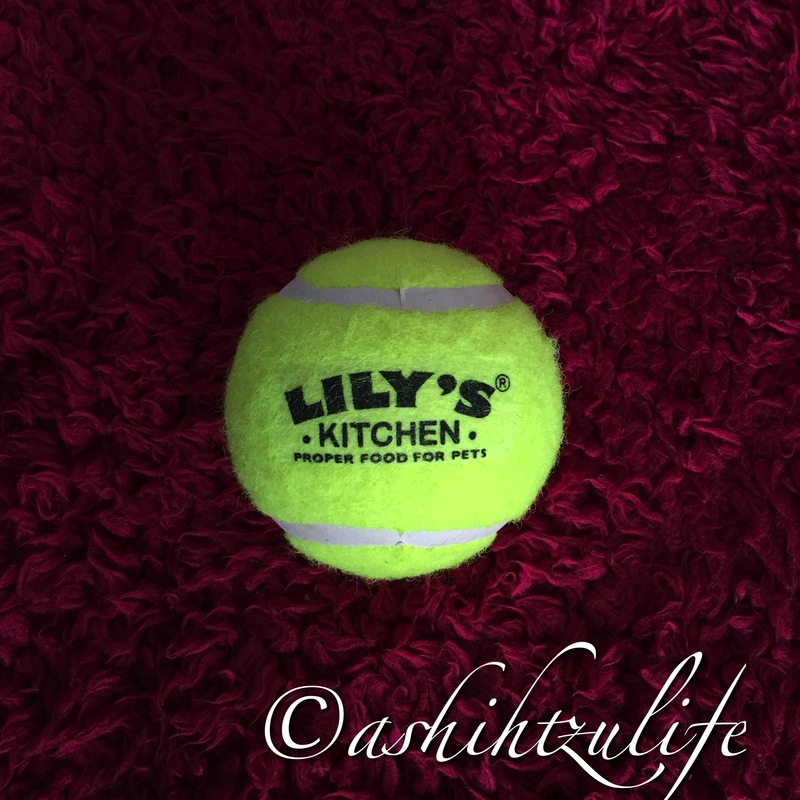 The tennis ball is a great idea its bright and has the Lily’s Kitchen logo on it, I am afraid to take it outside and get it dirty, so we keep this ball inside to play with. They don’t really play with toys outside they are too busy having a nosey at what is going on around them than consentrating on the tennis ball. They love this ball. The poo bags couldn’t have came at a better time as we were running low. These bags are great and are easy tied as they have handles. 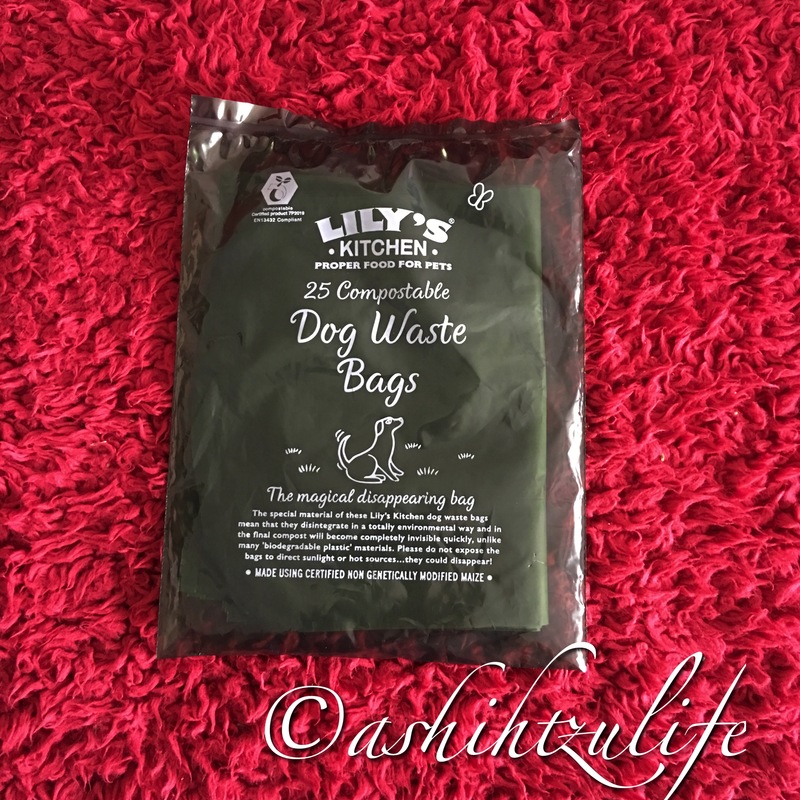 They also have the map of Lily’s Kitchen on each bag, they feel very soft and silky like material, it’s is not your usual poop bag rustle material if you know what I mean. You get 25 bags on a pack and was enough to do us until we got to the shop for more. Overall the Explorer’s Pack was well worth the money. 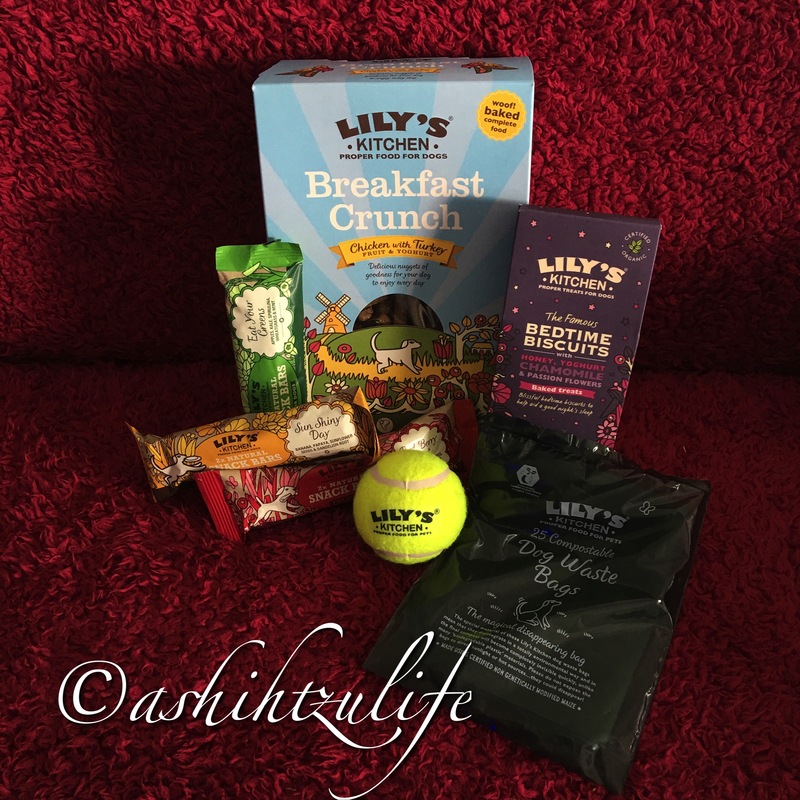 We love Lily’s Kitchen and I find it a very healthy brand. We love trying new products from them. Hi, Sorry for not replying sooner. Lily’s Kitchen is amazing for food. We have just put Pixie and Roxy on the all organic dry and wet food and they love it. We are having a few issues with the organic wet meat just now with Roxy so I think in my next order we will be sticking to beef. How have you found it? The treats are really good to try too. They are great out of the crate, the go about the living room and do there own thing sleep mostly and play the odd time. We have a web camera set up in our living room so that we can see what they are up to when we are out which is a great idea. We can speak to them as well. They go about the living room at night swell and they have there areas for sleeping, it did take them a while to get used to it but they are now. I am glad I have them out the crate but we have kept it incase or emergency. Let me know how you are getting on with Lily’s Kitchen, I am planning on doing an update soon for Roxy and her tear stains and how they are getting on with it. Thats a shame he didn’t like Lily’s Kitchen. Its not for everyone. The only hair that was coming out of my two when they were long coat was the hair that would of matted if I left it. They don’t really shed hair, but the hair that comes loose tangles with the other hair to make the mat. I would suggest the best of the best grooming tools if you are going to go long and really good shampoo. Glasgow not to far from me then. we are Paisley.